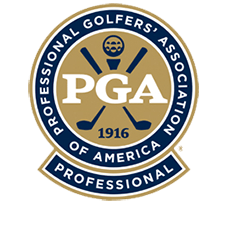 Connection Equals Consistency In Your Golf Swing from Golf Schools by Golf Made Simple on Vimeo. Your golf swing can be finicky – one hole it can feel as if you’re ready to play Professionally … and the next hole you feel like you’ve never picked up a golf club before. We’ve found that Happy Golfers are able to Feel the movements in their golf swing … better than Frustrated Golfers are able to. That doesn’t mean that they’re thinking about the different parts of their swing. It just means they have a higher sense of knowing when something is slightly off. Whereas a Frustrated Golfer usually doesn’t sense their swing is off until they hit the golf ball … the Happy Golfer can Feel (sense) that something is off before they set-up to hit the golf ball. As well as understand how to use a drill so that they regain their swing in a minimal amount of time.